Supination is a natural part of all walking and running. 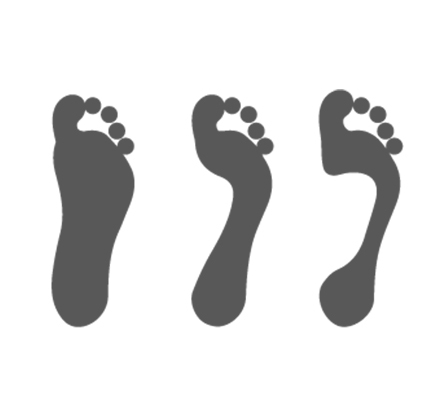 It is the way the feet propel the body forward: the foot turns or rotates outward as the heel lifts, weighting the forefoot and toes to push-off the ground. In excessive supination the foot rolls outward, distributing more weight along the outside of the foot and pushing the anklebone out. This causes excess strain on the ankle muscles and tendons and decreases ankle flex, reducing the foot’s natural ability to absorb shock. 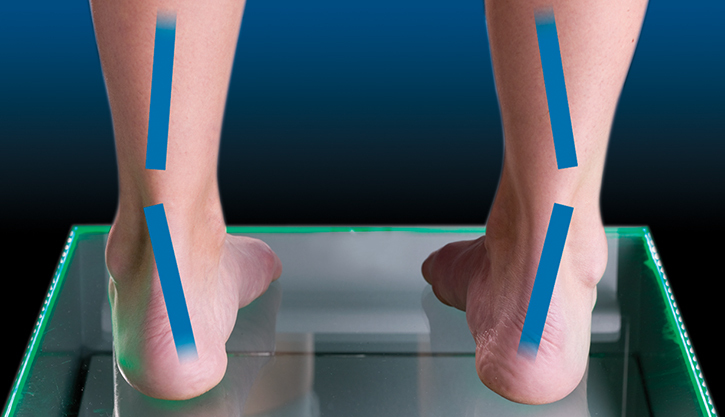 The smaller toes must do most of the work during push-off, decreasing efficiency of walking and running. 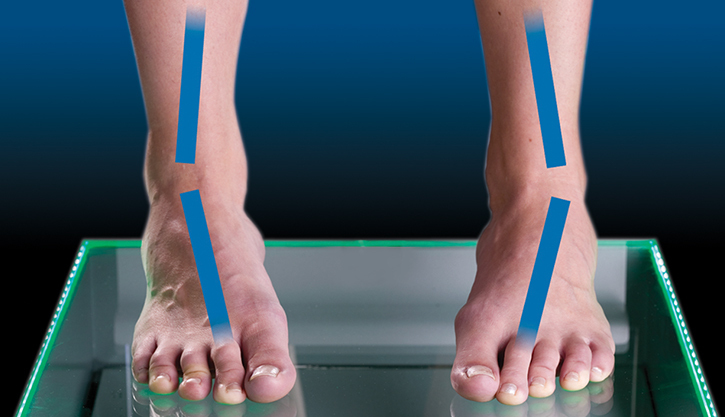 Supination is a natural part of movement and is normal when it occurs appropriately. Supination can become harmful when it occurs for too long or at the wrong times, or if the foot can no longer control the outward rolling. This excessive supination is what people mean when they say that someone supinates or is a supinator. Excessive supination is also called underpronation. Excessive supination is the least common foot type. Some of us have had it since childhood. For others, excessive supination is the result of prior injury or overwork to the muscles, ligaments or tendons that stabilize the ankle, such as from a sprained ankle. HOW DO I TELL IF I AM SUPINATOR? Don’t assume you are a supinator if you have high arches. It is not true that all high-arched individuals over supinate! 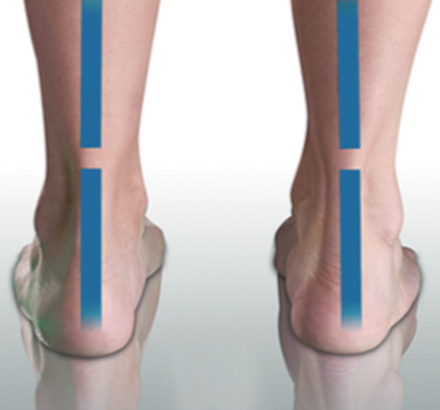 People with high arches can over-pronate, and those with low arches can over supinate. 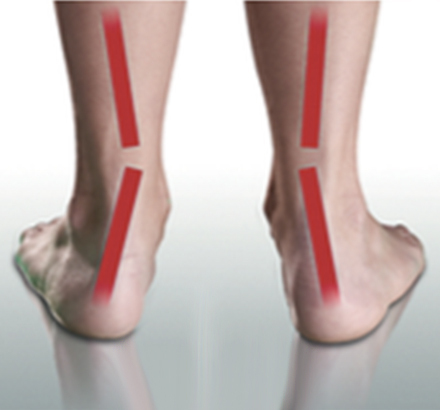 Arch rigidity and past ankle injuries are important factors, and one foot can over supinate while the other doesn’t. Excessive supination may be detected by pronounced wear on the outer side of your shoes, but it’s best to get an accurate assessment. WHY SHOULD I CARE ABOUT EXCESSIVE SUPINATION? Excessive supination increases your risk of injury by decreasing shock absorption and reduces biomechanical efficiency by making push-off less efficient. Impact forces to the muscles and joints of the legs, hips and back increase. Overall body alignment suffers. Heel bone, leg, thighbone and hip rotate outwards, resulting in posterior tilting of the pelvis. Ankles are under continual strain, making it harder to stabilize them. This increases risk of ankle sprains, knee problems or ligament damage. In addition to ankle sprains and knee problems, stress fractures, shin splints, back pain and increased metatarsal pronation are commonly associated with excessive supination. What can I do about excessive supination? If you supinate too much you need to improve shock absorption and increase ankle stability and strength. Stick with flexible footwear and, if you run, avoid stability or motion control shoes. FootBalance custom insoles support your feet properly in the neutral position to aid in stability and facilitate healthy foot function. Our cushioned insoles and dynamic core help improve shock absorption and reduce repetitive impact forces. Each of us has different type of arches. Footbalance insoles can be further customized as support for all type of arches.